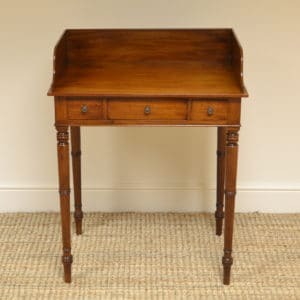 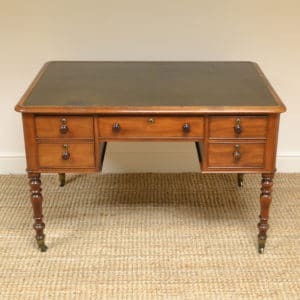 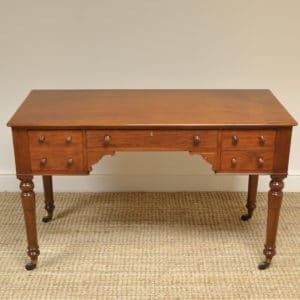 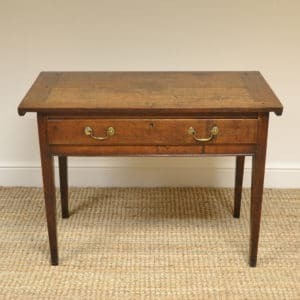 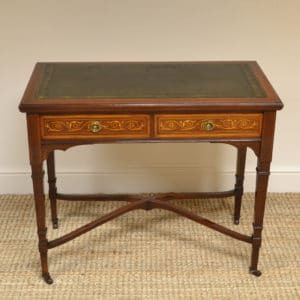 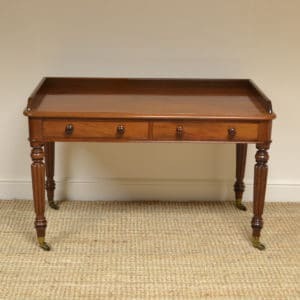 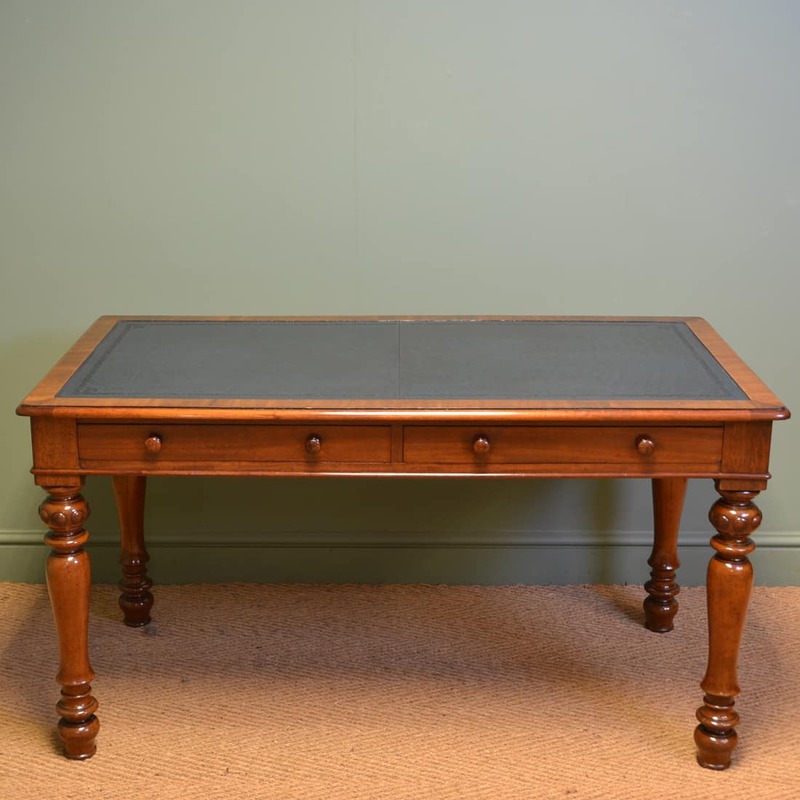 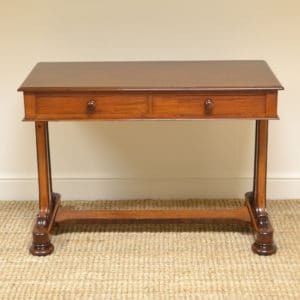 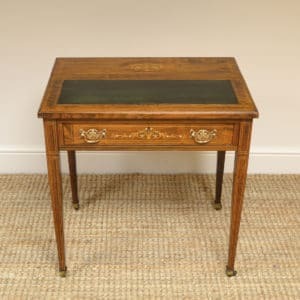 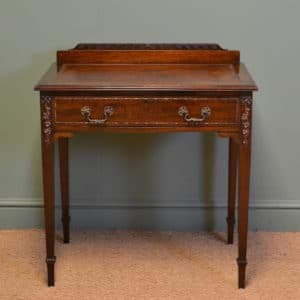 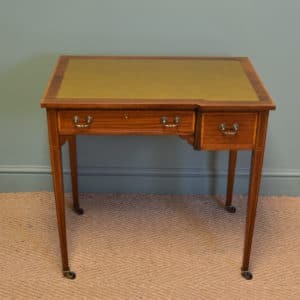 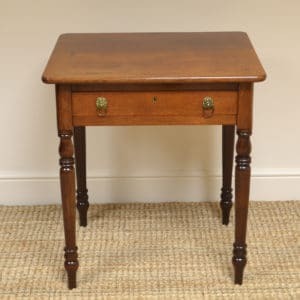 Antique Writing Tables can bee seen as far back as the Georgian period but were far more commonly used in the Regency and Victorian periods. 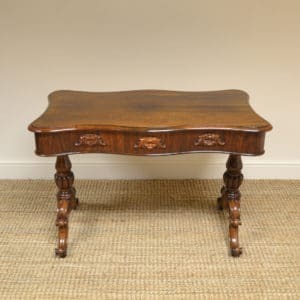 These come in many different designs, often long with a leather top and larger examples are known as a Library table. 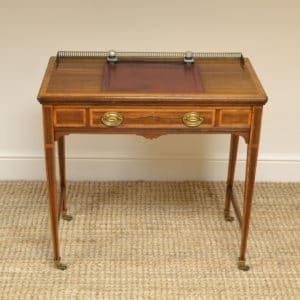 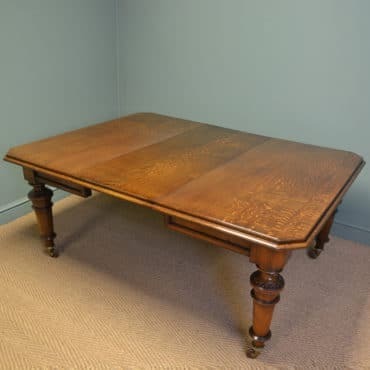 The writing table would have been built by skilled cabinet makers, made to order by wealthy clients as writing was for the more educated Gentleman or Lady. 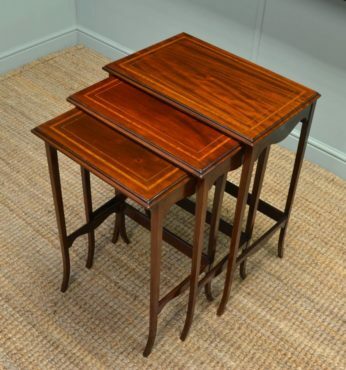 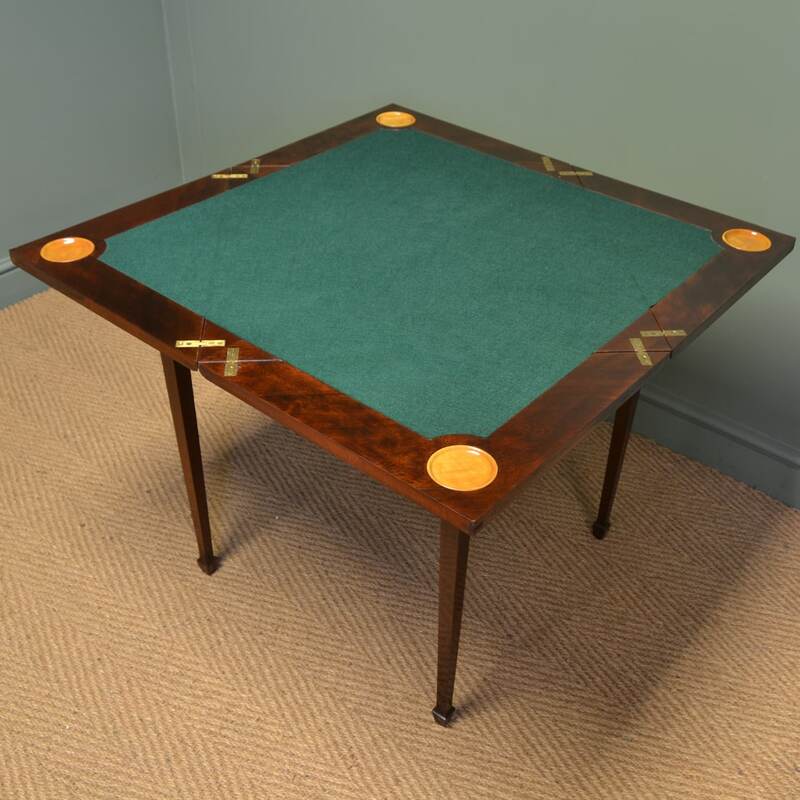 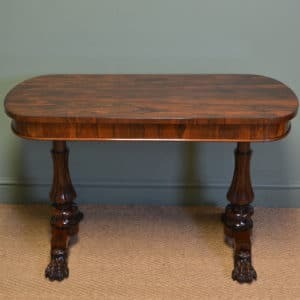 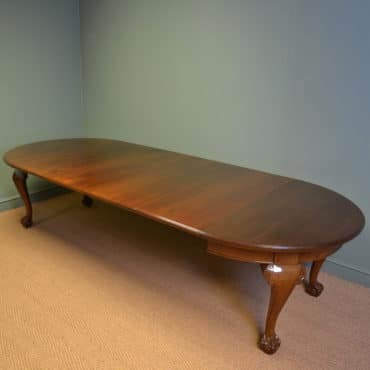 As these were special pieces of antique furniture, they would have only been built using the finest woods like Rosewood with brass inlay to more solid figured Mahogany standing on solid brass castors so could easily be moved around the home. 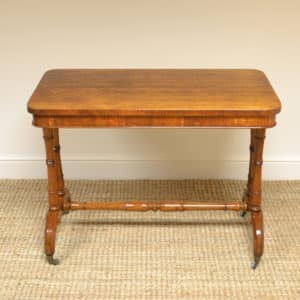 Antiques World offer the Finest Antique writing Tables for sale, from Georgian, Victorian and Edwardian periods, built by master craftsmen.